Brisbane Audio Visual Experts servicing the whole of Australia! 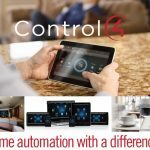 The Worlds Number 1 Home Automation System! We can design, install, program and commission your dream automation package. We also finish off projects which are half way through where the original installer has let you down. We provide the best solutions, backed by the best customer service and the best workmanship. Home theatre, media room, lounge room, board room, class room and any other room! 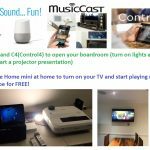 We can help you pick the best projector for your project. 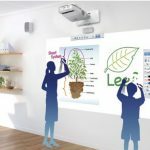 Long throw, short throw, ultra short throw and interactive projectors. Screen size, throw distance, laser, lamp life, lumens, luxury and lifestyle. Brisbane Audio Visual Professionals specialising in AV Design, Installations, Sales and Support. First of all, welcome to our site! While your here, you probably should have a good look around. Above all, FREE QUOTES for any size project! Finally, some jobs might not need a site visit. Simply sms, call or email The Av King. Brisbane Audio Visual company based in South East Queensland but servicing the whole of Australia! Please CLICK HERE to get in contact via our office line, mobile or email. Providing the BEST service and results, because AV is our Passion. Please Click Here for our Education Web Site and to see how else we can help you! Seems like you should get in contact and talk with one of our experts today.